Your lighting fixtures play an essential role in the overall aesthetics and ambiance of your home. If you want your home to be dark and cozy or light and airy, choosing the right type of lights can help you achieve any of these. It can also make any room look bigger, accent certain pieces and even become a room’s focal point. Yes, all of these things can be with the right type of lights. And among the variety of lights available today, track lights are one of the most favored choices by many homeowners. The convenience and versatility that this type of light provides might be the reason why. Using different kinds of lights to highlight different areas of a room is not only taxing but expensive as well. You’ll end up buying several lights and adjusting each of these as often as needed. Track lights are multi-directional and can help steer you away from situations like these. With track lights, you’ll be able to accomplish several tasks at the same time because you can use different lights for different purposes. You can set up the lights at different angles without affecting the position of other lights. You can use one light to showcase an artwork in the room and use another to show off an artist’s biography. How track lights complement a person’s home won’t have the same effect once you use the same track lights in your own home. Houses follow different themes and homeowners have different preferences. Fortunately, track lights come in different shapes. You can purchase track lights which are apt for circle or square rooms. Most lighting systems will require remodeling in order to be installed inside a home. This can require more cost and time for the installation. Track lights don’t require any of these. On the contrary, track lights are very easy to install since these can be mounted to the ceiling. You’ll never have to worry about a section of your ceiling being torn down or cracks hidden by drywall. If you’re one of those homeowners who want their home to have that modern yet classy feel, call professionals to install track lights right away. Track lights have beautiful aesthetics, making it a perfect choice for minimalists who are eyeing to pare down their home decors. Because yes, less is more when it comes to interior design. As mentioned, track lights are versatile. 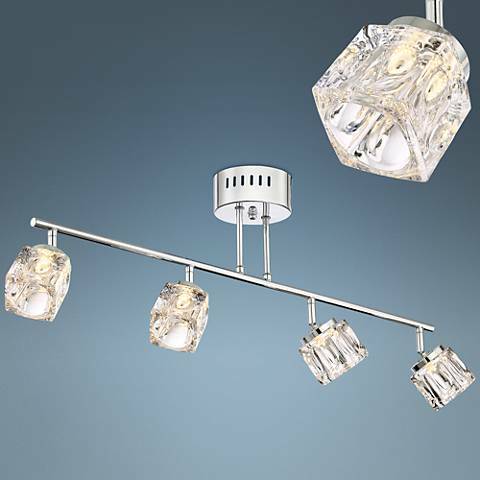 You can basically use these in any room of your home without compromising the room’s style and light requirement. Plus, track lights don’t take up too much space. Regardless of where you’re planning to use track lights, these will never look out of place. Who says you can never style your room because it’s small? Track lights can prove you wrong. If you need a lot of lights, but you don’t have enough space on the ground, make use of track light fixtures. This type of light has a very slim design which can fit into any space. When you use track lights, you’ll be able to enjoy task lighting in different areas of the room without needing too many lighting. Track lights might use several fixtures at the same time, but that doesn’t mean that your electricity bills will immediately skyrocket. Depending on the type of light you install, track lighting fixtures can actually help reduce your electricity bills. There are track light options which allow you to use LED lighting – one type of light which uses fewer watts and has longer longevity compared to other traditional bulbs. Most often than not, homeowners are keen about their home’s fixtures and not on their decors or vice versa. If they do pay attention to any of these, they’ll end up purchasing one item for their fixture and another for their décor. 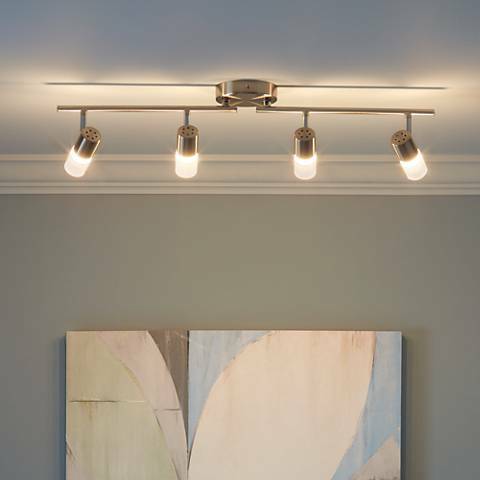 Track lights can become your lighting fixture and décor at the same time – it’s like hitting two birds at the same time! Choosing track lights for your home means lesser costs and lesser stress since you don’t have to think what fixture or décor to buy. Undeniably, track lights can provide a long list of benefits to all the homeowners who use it. Not only does it address the lighting needs of a room but it can also improve the overall aesthetics of a home. If you’re convinced that track lights are one of the best choices for your home, make sure that you work with Connecticut lighting professionals who offer quality services and products. They’re the best persons to know which specific track lights suits your home. They’ll also handle the installation of track lights, too.